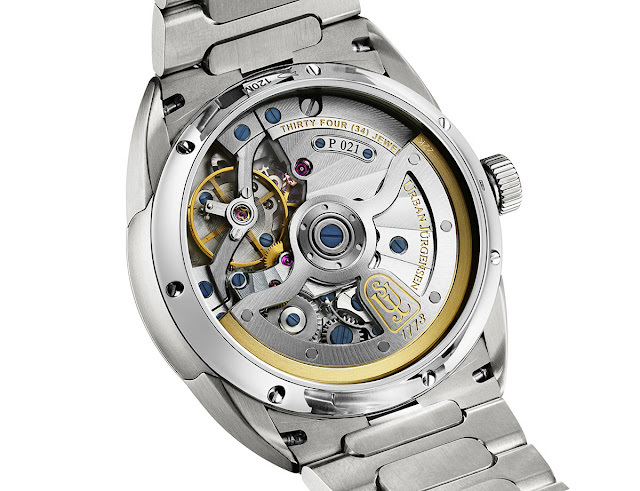 After the overview of the new One Collection, launched by Urban Jürgensen at Baselworld 2019, we can now go deeper into the Jürgensen One Reference 5241, the three-hand model of the line. 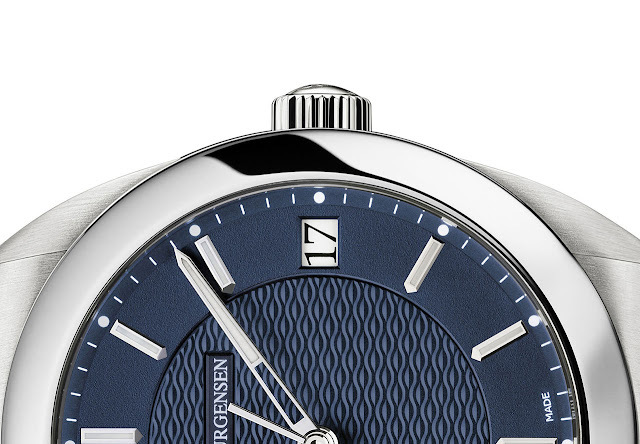 With this new timepiece, Urban Jürgensen makes its entrance in the luxury steel watch category, whose importance keeps growing year after year in most markets. 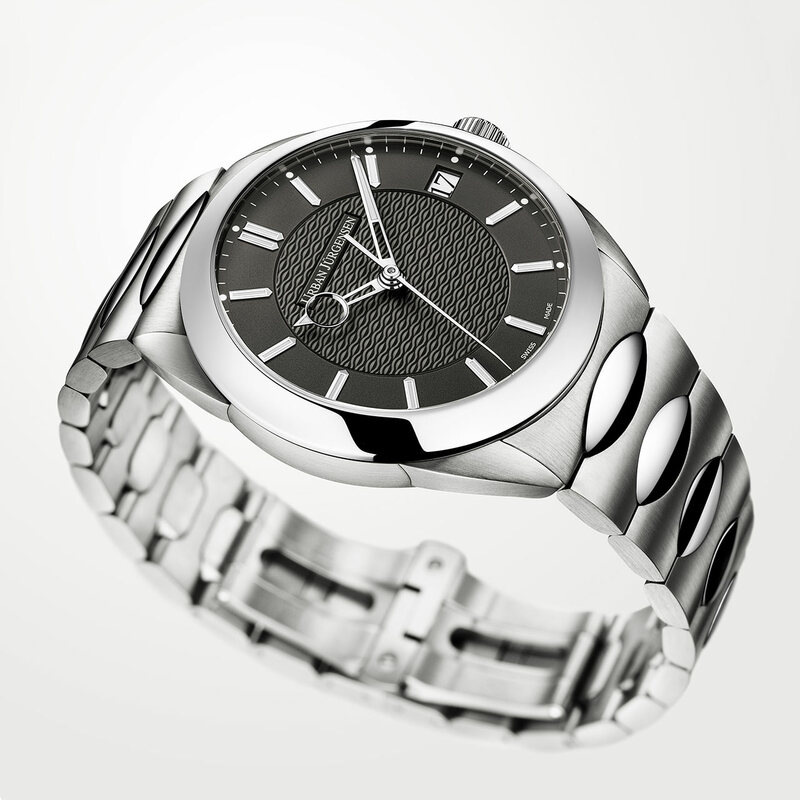 In doing so, the Swiss brand of Danish origin brings a refreshing take in the design of a steel sport watch which maintains a distinctive style and great versatility. Mainly defined by ellipses and circles, the 7 piece case of the Jürgensen One Reference 5241 is made entirely from Medical Grade 1.4441 steel. Also used for medical implants, this steel offers increased corrosion resistance and has a low level of Nickel – about half the Nickel content of 904L steel. With no sharp straight edges, the 41 mm x 12.1 mm case alternates satin brushed and mirror polished surfaces offering a nice play of light and reflections. As typical of the brand, each lug is individually soldered to the case. 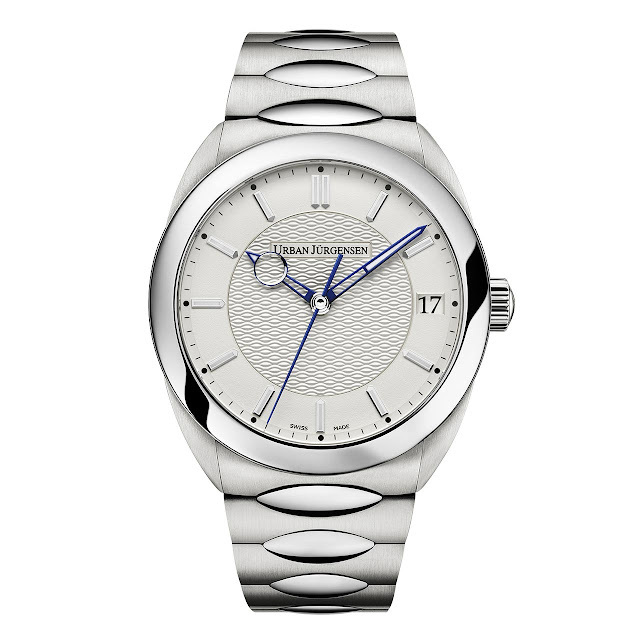 The bracelet, a crucial element of a luxury steel sport watch, is well integrated with the case and features satin brushed links with mirror polished pointed oval duo-shape interlinks. Also crafted from Medical Grade 1.4441 steel, the tapered and semi-flexible bracelet is secured to the wrist by a double butterfly locking clasp. The refined one-piece solid dial features a grenage textured chapter ring with maritime wave style grains d’orge guilloché centre and faceted mirror polished hour markers inlaid with Super-LumiNova. 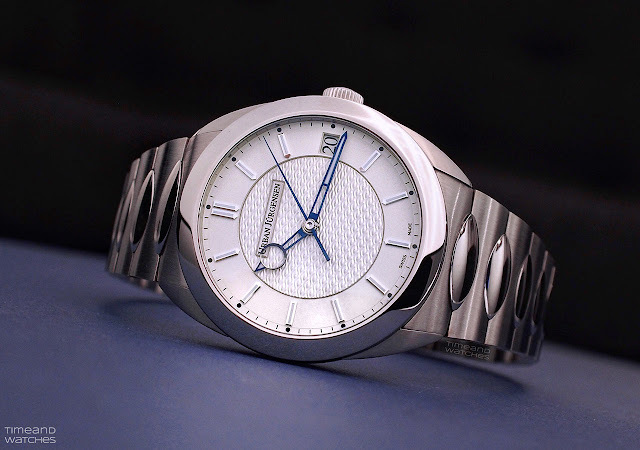 It is available in three variations: Soft White with thermally blued steel hands, Charcoal Grey with mirror polished steel hands, and Urban Blue, also with mirror polished steel hands. The hour and minute hands are open-worked with the hour hand maintaining the distinctive diamond-polished eye, a signature of the brand. 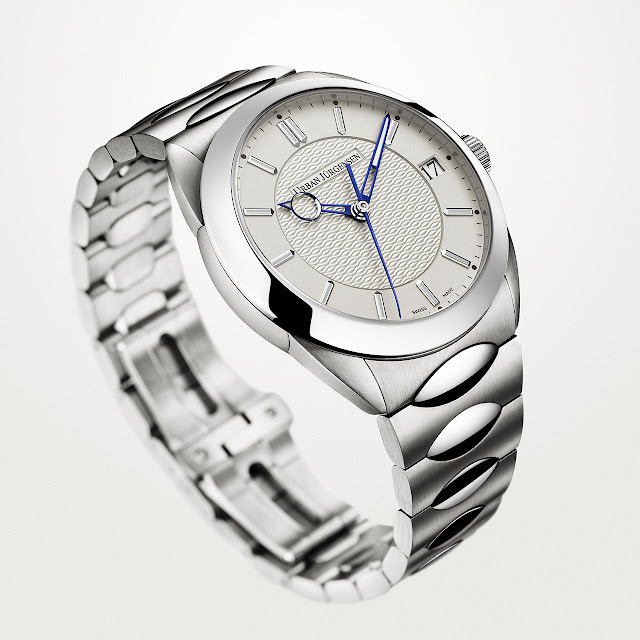 The dial is completed by the central sweep seconds hand and the date window at 3 o'clock. 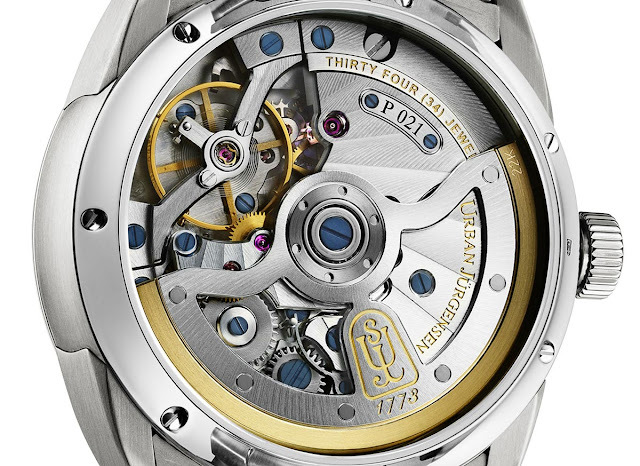 For this new model, Urban Jürgensen developed its own automatic movement, the 34-jewel P5 Calibre beating at a frequency of 3 Hz (21,600 vibrations per hour) and offering a power reserve of 72 hours. The P5 is beautifully hand-finished and equipped with an open worked rotor with gold inlayed Urban Jürgensen Shield and a 22 carat solid gold oscillating weight. 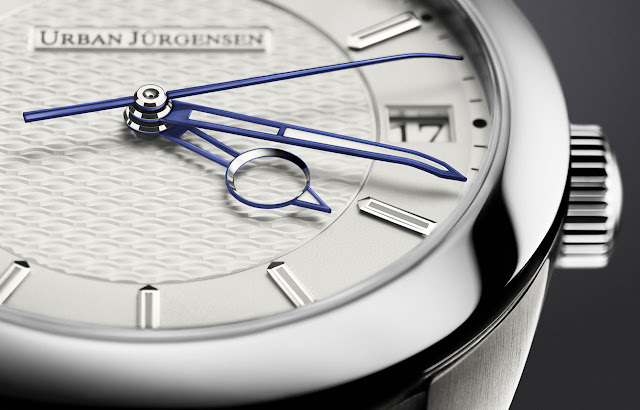 Introducing the Urban Jürgensen One Reference 5241After the overview of the One Collection, launched by Urban Jürgensen at Baselworld 2019, we can now go deeper into the Jürgensen One Reference 5241, the three-hand model. 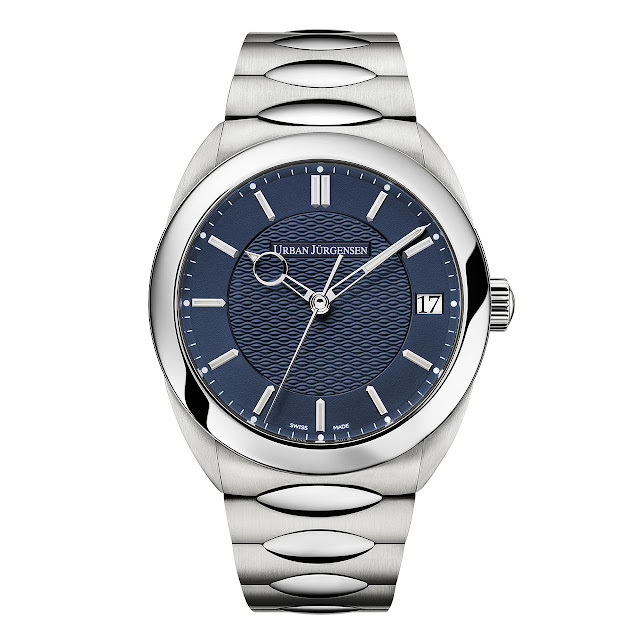 With this new timepiece, Urban Jürgensen makes its entrance in the luxury steel watch category, whose importance keeps growing year after year in most markets. 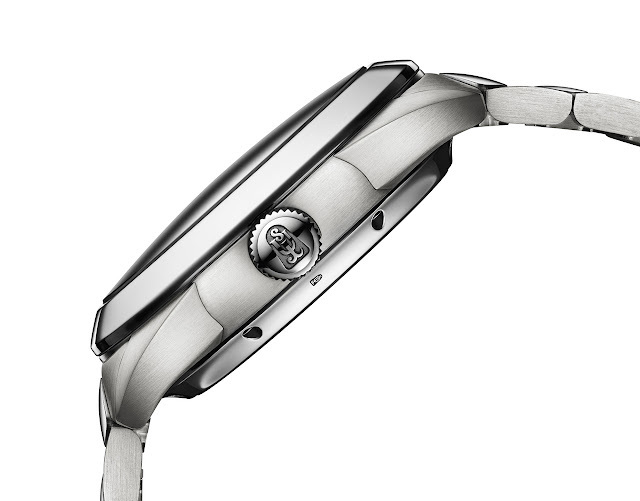 The Jürgensen One Reference 5241 has retail price of Swiss Francs 24,500 plus local taxes.